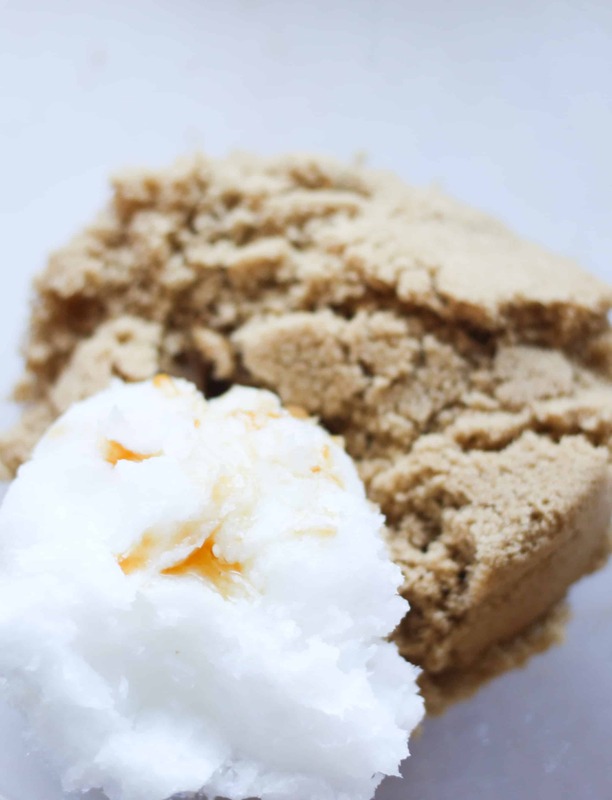 Homemade sugar scrubs are an easy and simple way to make your own skin care products at home in only 5 minutes. DIY sugar scrubs make the perfect self care treat for yourself and also make a simple gal pal or hostess gift. 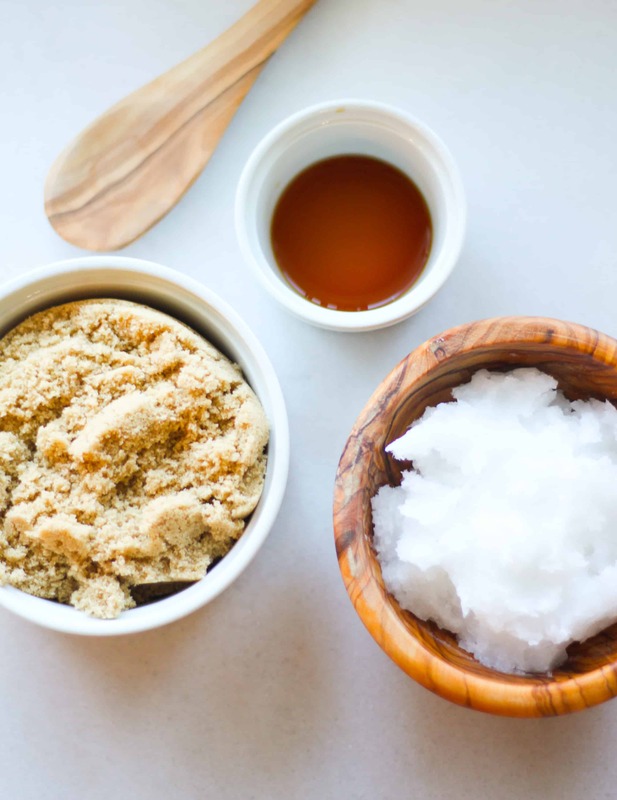 This DIY vanilla brown sugar scrub with coconut oil is one of our favorites, it’s only 3 ingredients and they’re probably ones you already have in your cupboard! 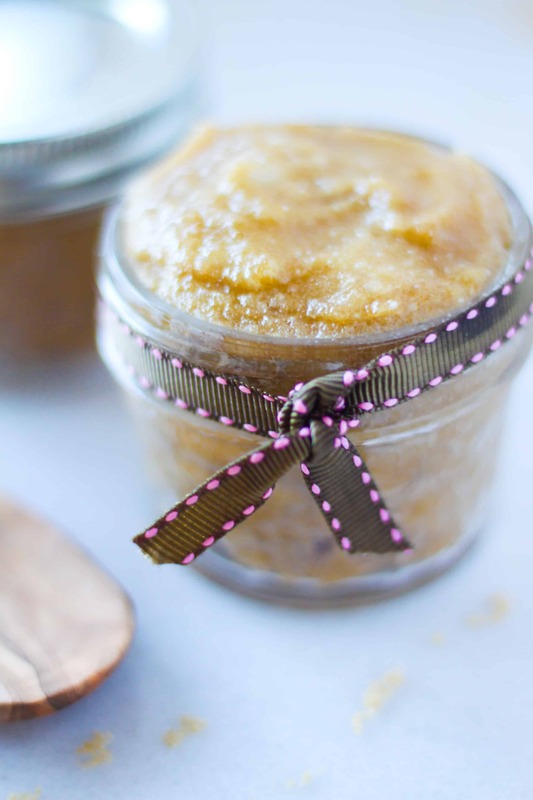 We were recently having family over during the holidays and I wanted to give them a special homemade sugar scrub gift. 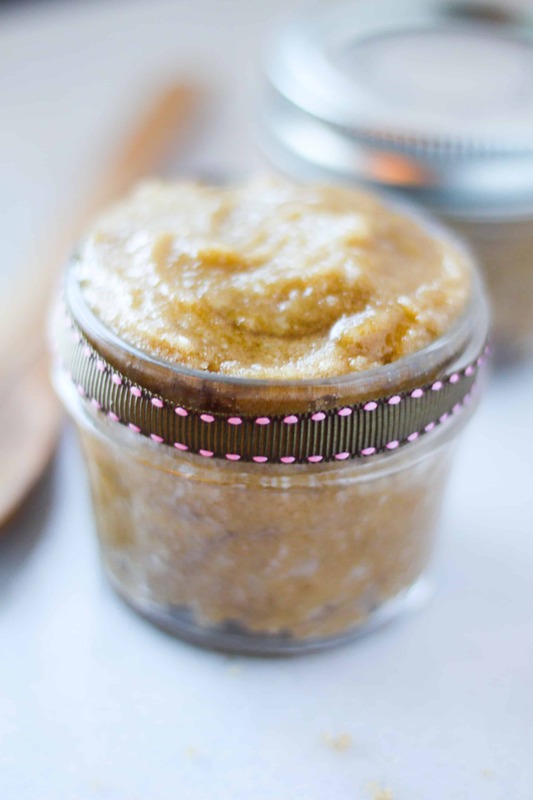 Literally one hour before they were coming, I whipped up a super easy batch of brown sugar vanilla sugar scrub! It truly is that easy and makes the best unexpected treat for someone special. 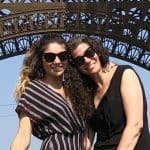 The real issue was that I forgot to GIVE them the sugar scrub before they left our house. Face palm…. Your friends will all be asking your secrets to your amazing glow! Just a warning right now….. The secret ingredient to all the yummy goodness is the coconut oil of course! 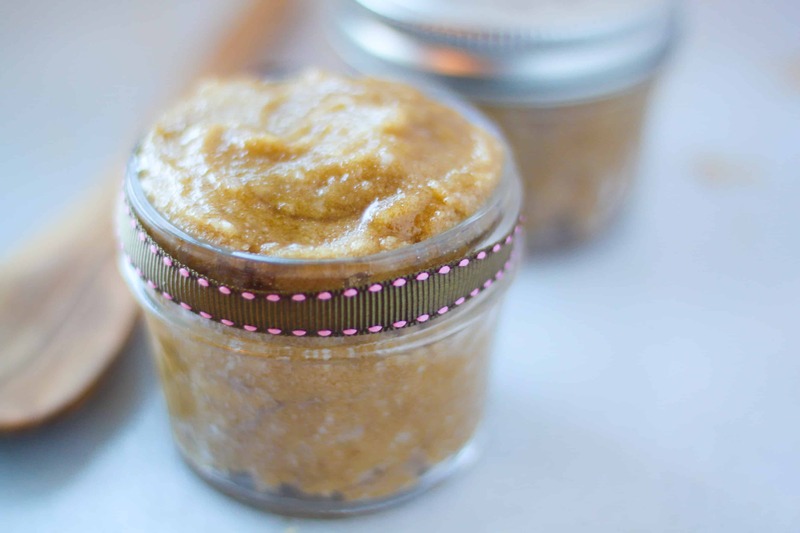 You could definitely swap coconut oil for olive oil or grapeseed oil, but to be honest, the coconut oil takes this amazing brown sugar vanilla scrub to another level. 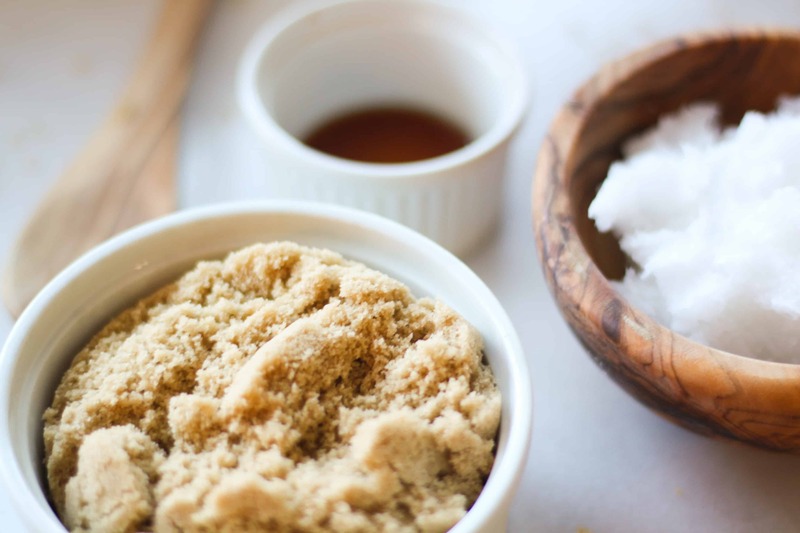 This is honestly such an easy brown sugar scrub recipe and only uses 3 simple ingredients! Add all three ingredients to a small bowl and mix together. Divide vanilla sugar scrub mixture between two 4 oz mason jars. The scrub will keep for about 1 month and is shelf stable. You can also store this in the shower to use as a body scrub, hand scrub or facial scrub, I’d recommend keeping the lid on the jar if stored near water. In warm conditions the coconut oil will melt but will harden again as the room temperature cools. 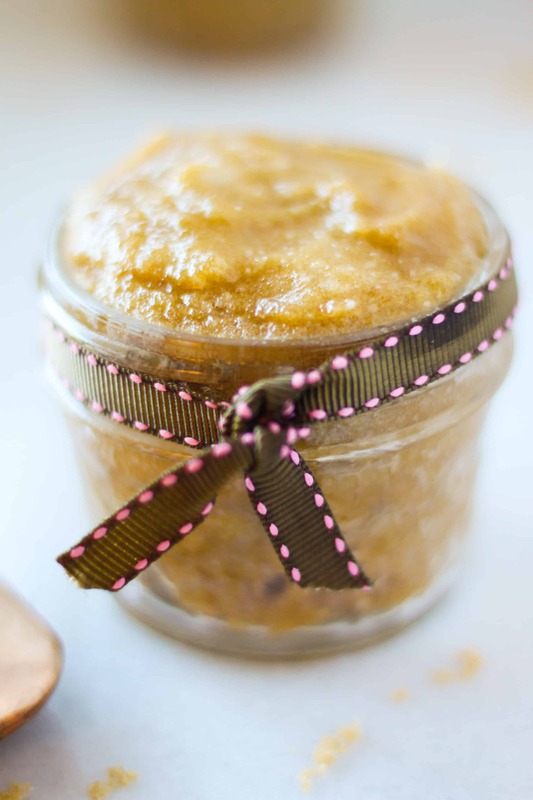 Just add a cute ribbon or bow and your vanilla brown sugar scrub with coconut oil is ready to go!